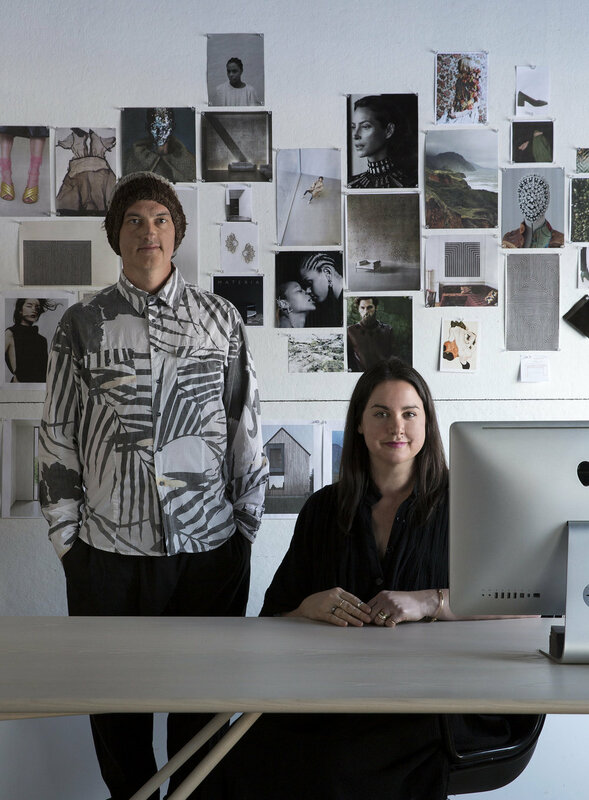 More than twenty years ago, designers Megan Sommerville and Matt Ensner met in a high school architecture drafting class in Asheville, North Carolina. “I remember she was the quiet astute student in the class, and I was bit louder and looser,” says Ensner, who married and created the design studio Materia with Sommerville in the late-2000s. Fast forward to present day, and the couple’s dynamic, at least when crafting their material-driven collection of furniture and lighting, has flipped. Together, they inadvertently embarked on their joint creative endeavor in 2005 while living in Brooklyn. During that time, Sommerville worked for a French fashion brand, while Ensner created custom wood furniture for interior designers and architects in addition to his landscape gardening projects. When designing, Ensner would often look to Somerville for input regarding a piece’s proportion or scale, which established their design synergy. After selling a custom wood table handcrafted by Ensner — the centerpiece of their antique store — the couple realized that there was interest for made-to-order furniture that wasn’t necessarily bespoke. Slowly, they began adding more of Ensner’s designs into the mix, transforming the shop into a gallery for his work.